A receipt rests on top of a credit card. If you love those two-foot long receipts with tons of coupons on them, you’ll be disappointed to hear that a bill making its way through the California legislature would require businesses to go paperless when it comes to receipts. The Assembly Committee on Natural Resources voted 6-3 on Monday to advance Bay Area Assemblyman Phil Ting’s proposed bill that would require receipts for point-of-sale (P.O.S) transactions to be provided only in electronic form unless requested otherwise. The bill is modeled after one that passed the legislature and requires single-use plastic straws only be given out in restaurants upon request. Businesses found in violation of Asm. Ting’s proposed bill would be fined $25 per day in violation of the law, up to $300 per year. Advocates say the bill would go a long way in reducing paper waste and cut down on the use of Bispehnol A (BPA), a chemical that has been identified as potentially harmful and that is often used to coat receipt paper. Business advocacy groups as well as privacy advocates have expressed concerns about the bill. Those on the business side say the cost for small businesses to convert to a paperless P.O.S. would be steep, and that the market, not the government, should be driving this change. Privacy advocates worry about the potential for sensitive customer data to be shared or to end up as part of a data breach. 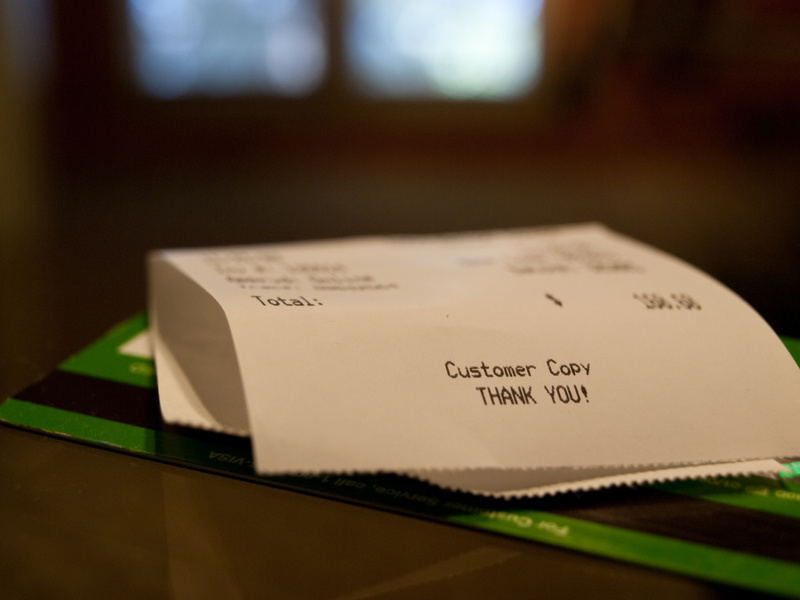 What do you think of the state making a switch to completely paperless receipts? If you’re a small business owner, would you support going paperless? What are the challenges for small businesses? Philadelphia is the first city in the US to ban cashless stores. Could LA be next?